The Bean Goose exists in two forms, the Taiga Bean Goose and Tundra Bean Goose. There is debate whether they are two separate species. Both breed in northern Scandinavia and Russia, and they seem very much alike. 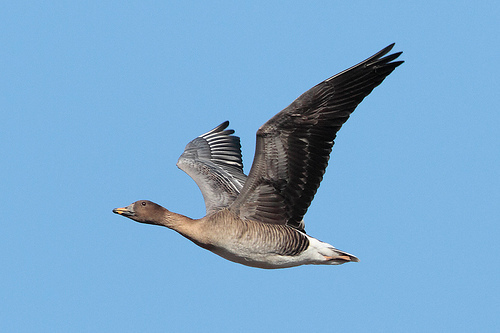 The Tundra Bean Goose is more common in the Netherlands. 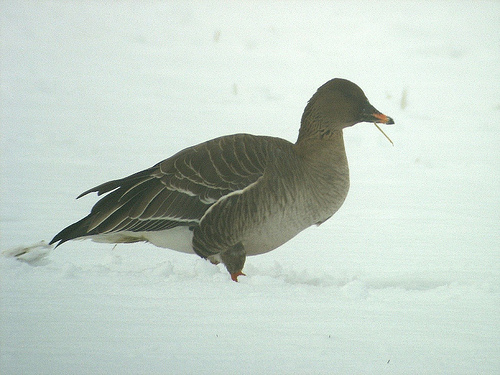 The Tundra Bean Goose has a shorter neck and a dark bill. 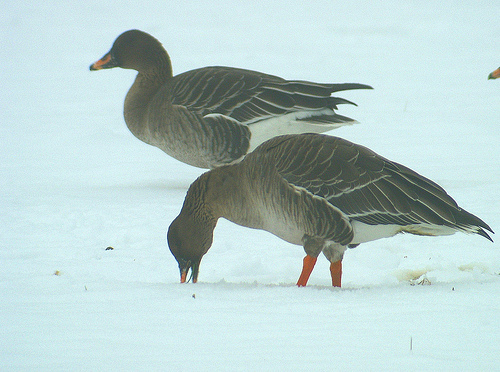 The Tundra Bean Goose is larger and has orange legs. The legs of the Pink-footed Goose are pink.